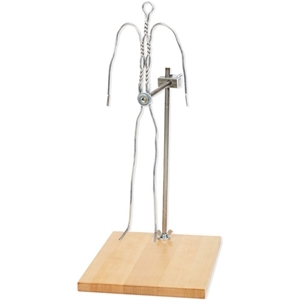 Home → → Figure Armature - 15"
Sculpture House’s strong, fully adjustable 15” figure armature is hand-crafted from non-staining, pliable aluminum wire with a backiron made of sturdy steel. Its adjustable backiron may be positioned for standing, kneeling or sitting. Its base is waterproof, laminated hardwood.